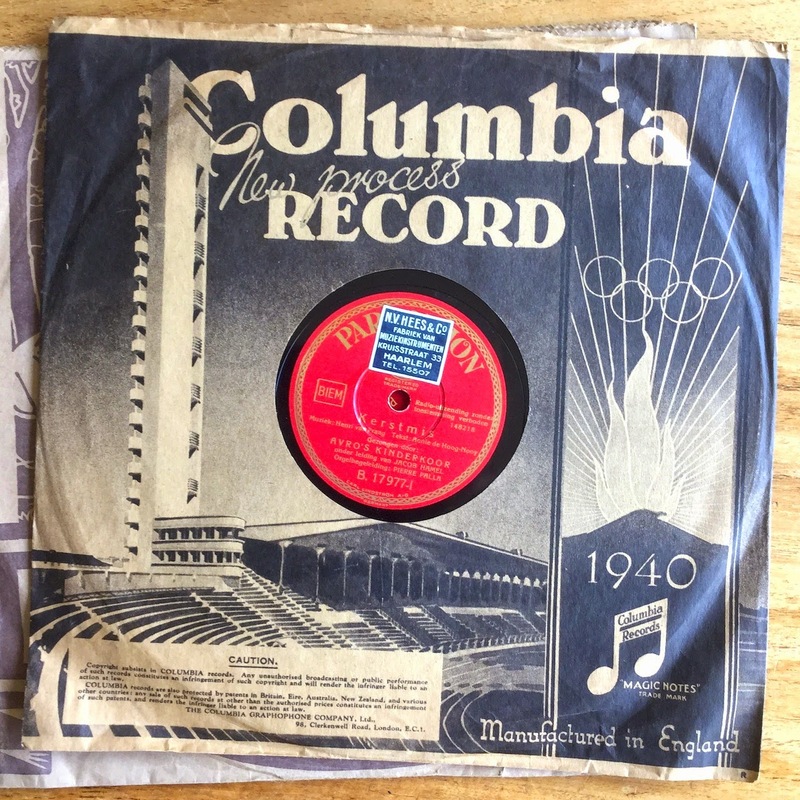 Printed in England in 1939 as promotion material for the 1940 summer olympics that had just been moved from the originally planned Tokyo to Helsinki. It shows the new Helsinki olympic stadium built in the modernistic style. All olympic games were then cancelled in 1939 as war started to break out. Somehow this one ended up in Holland, like all records in the stack probably sold in Harlem perhaps with a Columbia record. When I got it, it contained a Parlophon record with 'Christmas' sung by the AVRO children's choir that was led by Jacob Hamel - until May '40. Odd looking tower/stadium! Apartment block? Media press boxes?